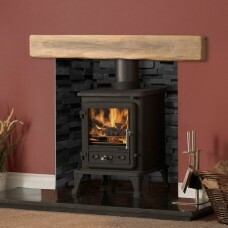 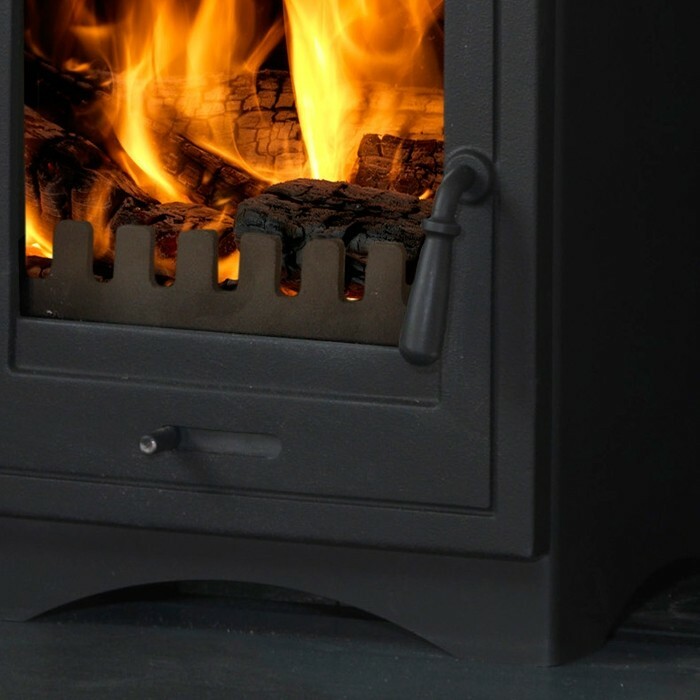 The Gallery Helios 5 Clean Burn Multifuel/Wood Burning Stove is suitable for burning wood and anthracite, and can achieve a maximum heat output of 4.6kW. 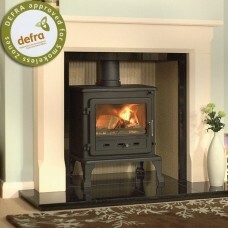 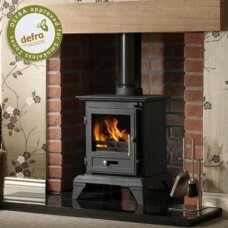 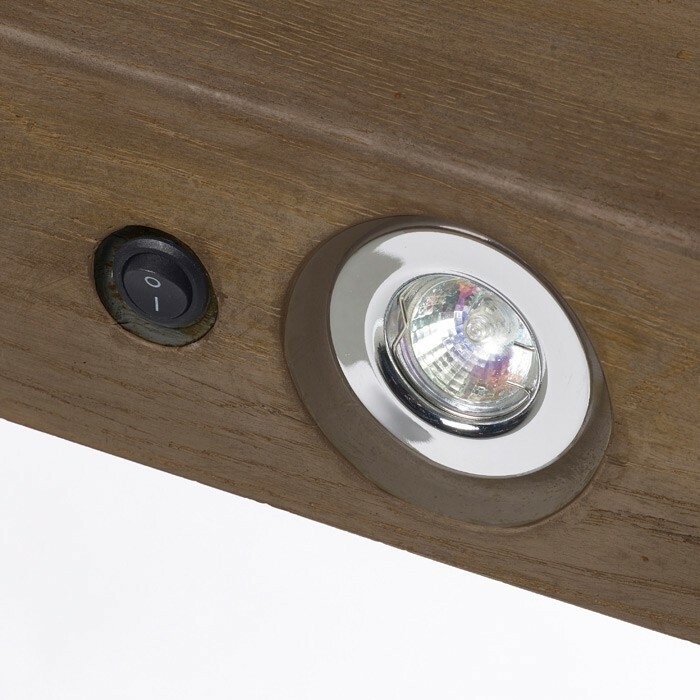 The Helios 5 collection is DEFRA approved. 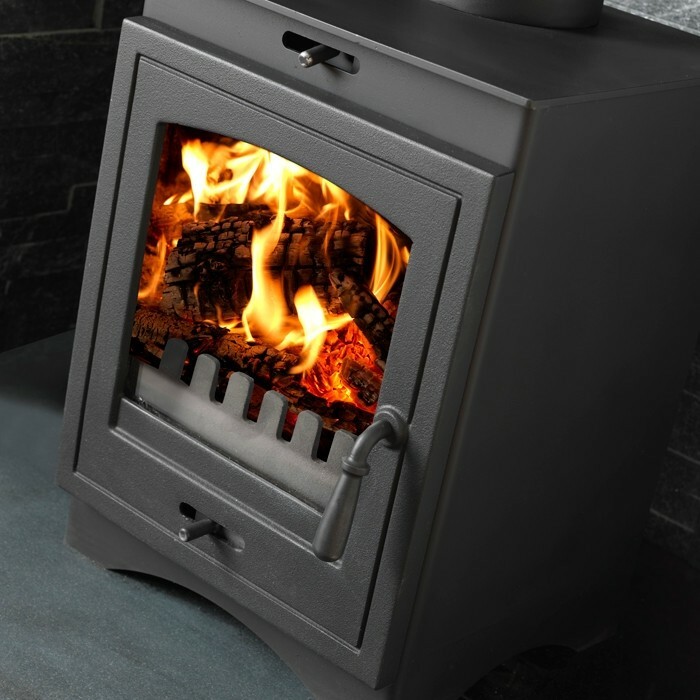 The Gallery Helios 5 Clean Burn Multifuel/Wood Burning Stove delivers clean and economical heat within a sleek contemporary design. 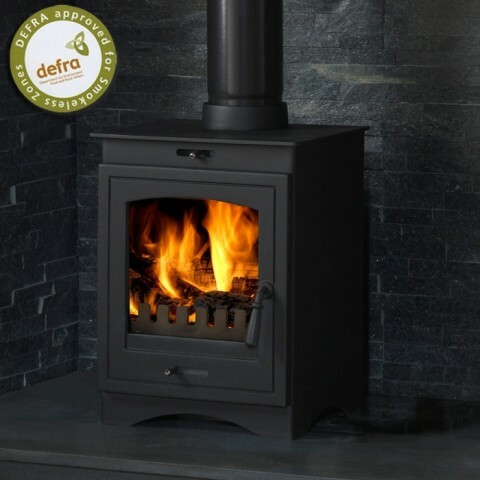 Each Helios 5 can achieve a maximum heat output of 4.6kW, which is delivered with through an amazing 83% efficiency rating. 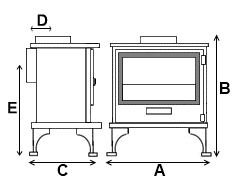 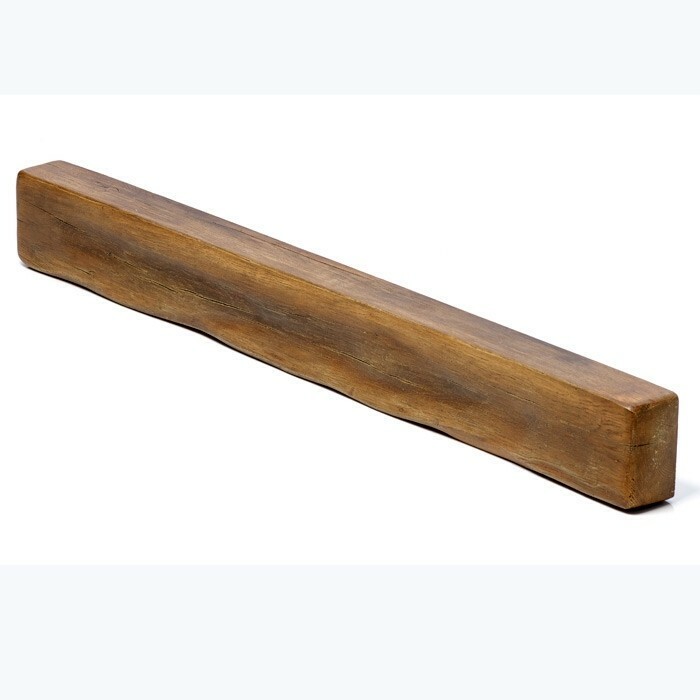 Due to this clean and economical burn, each stove is granted DEFRA certification, permitting it to be installed within smoke controlled areas. 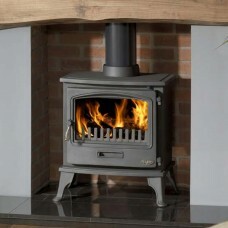 The Helios 5 is also features a built in airwash system, which is designed to reduce soot on the glass as well as feed air to the flames.